Here we go again! 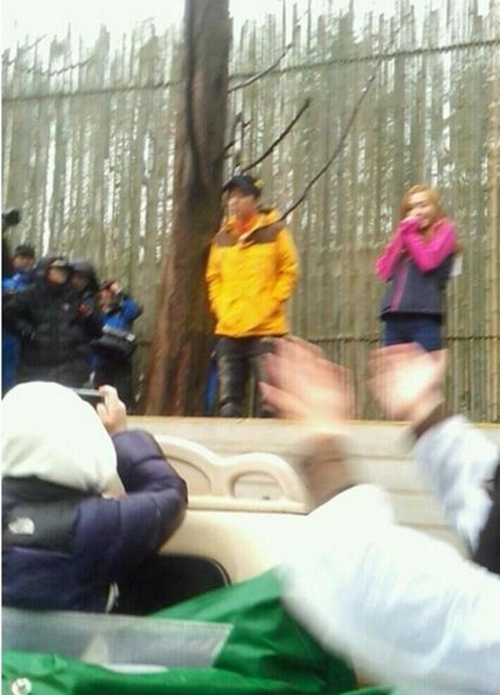 Jessica was spotted filming another episode of “Running Man” on April 2nd at Everland Resort Theme Park in Yongin. Looks like the other guest for the episode is Eun Ji Won. The episode is scheduled to air April 21st. I’m sure it’ll be good. “Running Man” has to be one of the coolest and most fun variety shows in Korea! Especially when you have the cool and hip Yoo Jae Suk as an MC! stay for a short while in korea, it looks like sica noona has a fun job to rid the stress an tired before continuing tour arena at japan..
can’t wait any longer to watch it..
Cant wait to watch! <3<3<3<3 running man!!!!! isnt tnis the second time she is participating in running man ? I wish they’d make another Running Man episode with a whole lot of SNSD members as guests like the one they aired last 2011. THOSE TWO EPISODES ARE HILARIOUS!